Supports all Interactive objects I believe. 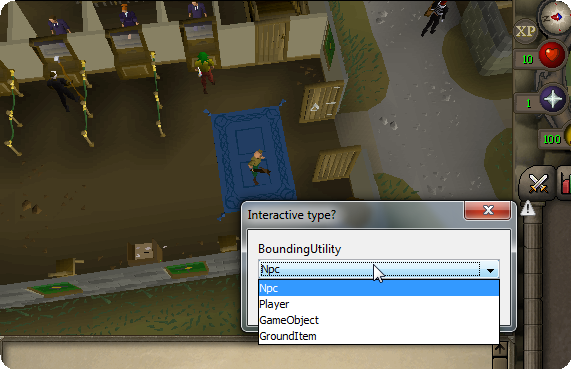 How are you meant to use it when trying to interact with an object? When adding .bounds() it returns void rather than an object. EDIT: Did some searching and just going ob3.bounds(...) works. No way to delete posts? This seems pretty neat and interesting! So, in theory, I could use this to manipulate the bounds of most any object? Will I be able to save it to where I can create multiple different bounds for different things to utilize them simultaneously? This is only to tell the bot which area is clickable. Technically, you don't manipulate anything, you just tell the bot that only this region is to be used during interaction.